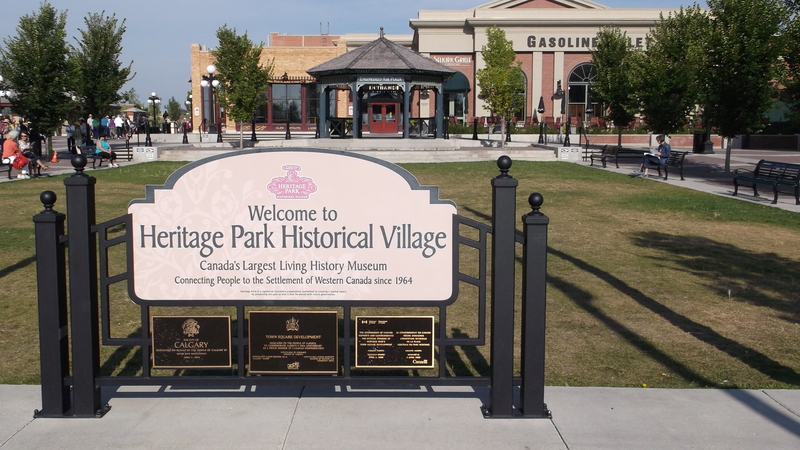 Heritage Park Historical Village | how's it going, eh? 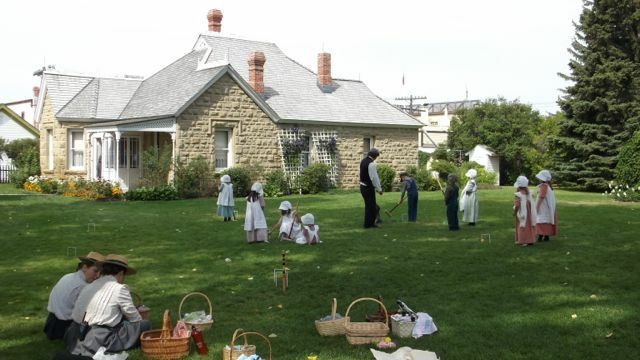 Canada’s largest living history museum!!! This place is NO joke, history buffs!!! 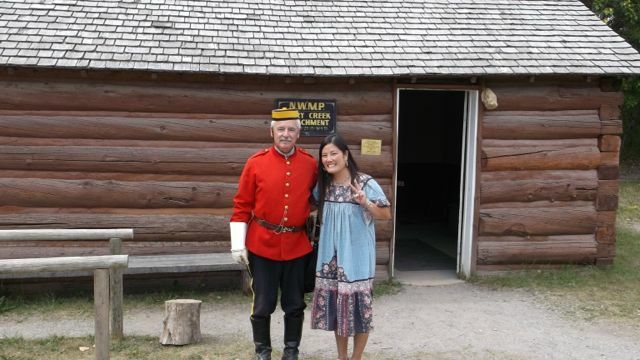 My new Canuck buddy Michelle treated me to a day at Heritage Park Historical Village! One of the many things that Michelle + I share in common is a love for gabbing about any random sort of historic trivia. So, Heritage Park couldn’t be more of a perfect outing for a couple of nerds like us! Heyooooo!!!! 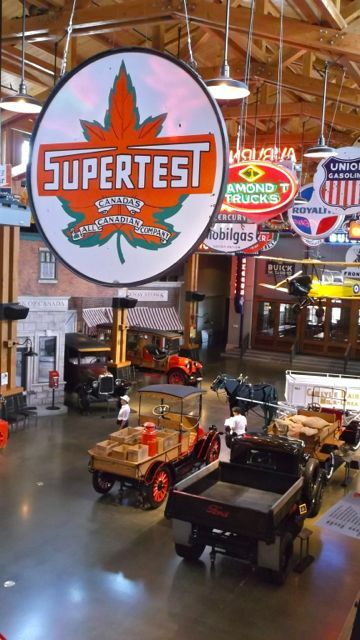 Gasoline Alley Museum is close to the entrance of the park + is full of old cars, gasoline pumps + great tin signs! 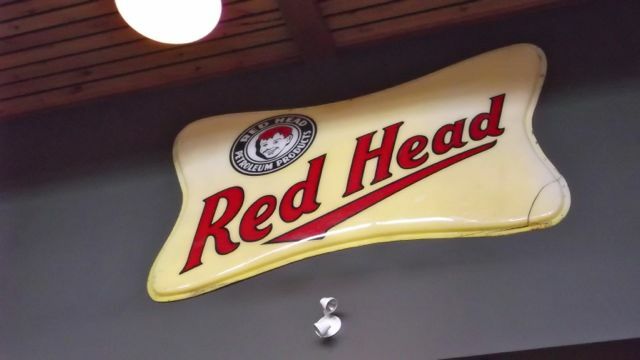 Why does Red Head Gasoline not exist anymore???? 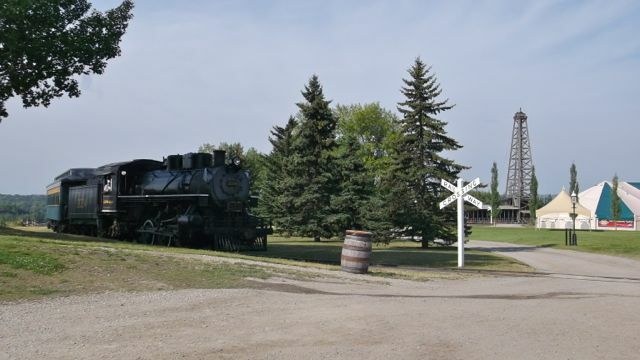 There are “train stations” throughout the park + this trusty locomotive runs pretty frequently. Woo-woo!!!! “I can always single out the American because they point with their elbow bent!” he explained while mocking me + my weak, lazy, improper elbow. Isn’t that interesting? Michelle was pointing like a true Canadian! 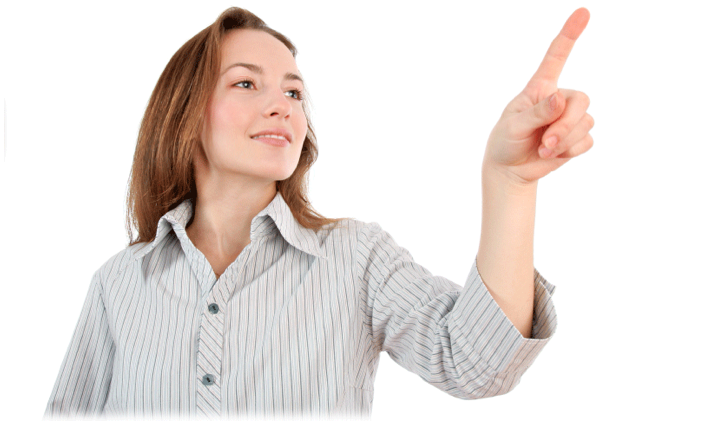 So, after that note, I confidently thrust my arm out – straight as an arrow!!!! Who knew I’d be getting pointing lessons at Heritage Park?! One of my favorite parts of the park was the Masonic Temple building!!! Masons are famous for being secretive, right?! So, seeing all the relics staged as they were was very thrilling for us! Michelle + I live on the edge, yo!!!! 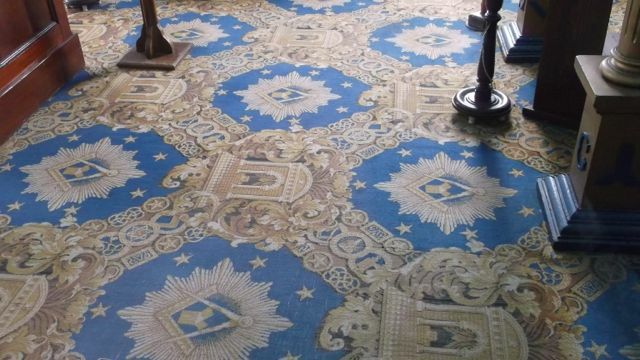 Check out this rare Masonic carpet!!!!!! I LOVE this kind of stuff!!! There were two Masonic volunteers that were just dying to chat with us! When they asked where I was from, I replied, “Los Angeles” + they were like, “Ooooooh!!! Very exciting!!!”. I’m so exotic in Calgary!!! 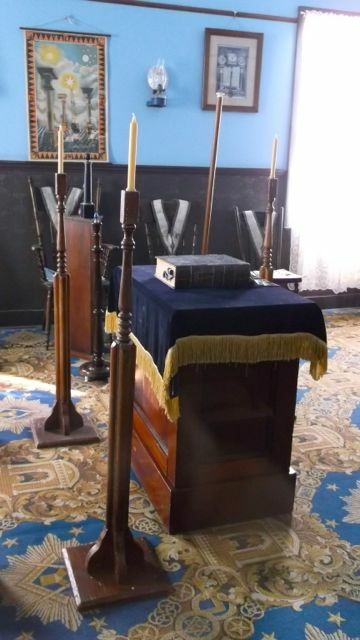 I could have ogled over all the Victorian Masonic posters + regalia forever, but that would have been extremely dangerous. We had to move on. 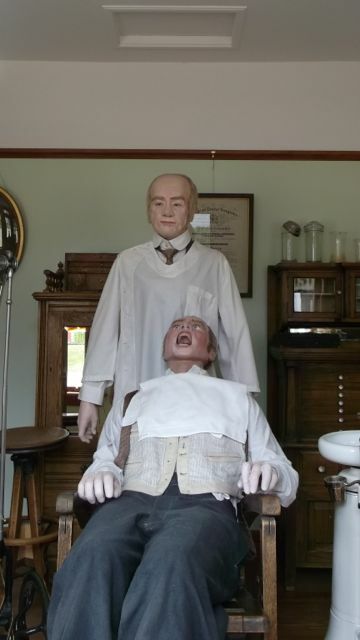 Hey Heritage Park, maybe it was time you guys got some new mannequins that don’t freak the bejeesus out of people??? 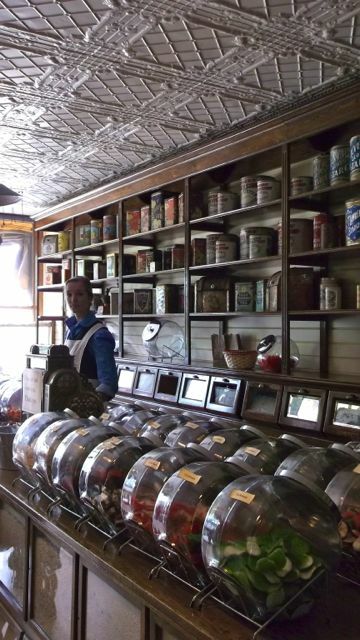 The old fashioned candy shops were so adorable!!! 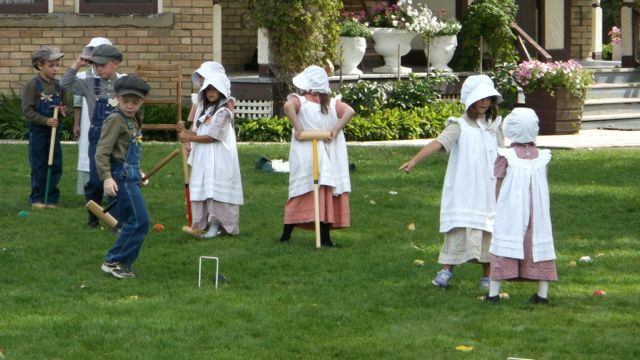 But no more adorable than the children in period costume playing croquet!!!! I vowed to Michelle that if I have children, I’m dressing them up in outfits just like these! People will mistaken us for a religious cult, but I won’t give a toss!!!! I was really confused about these kids, but Michelle explained to me that they were part of a historic summer camp program that the park runs. Sooooo irresistable!!! Idyllic, like a painting! 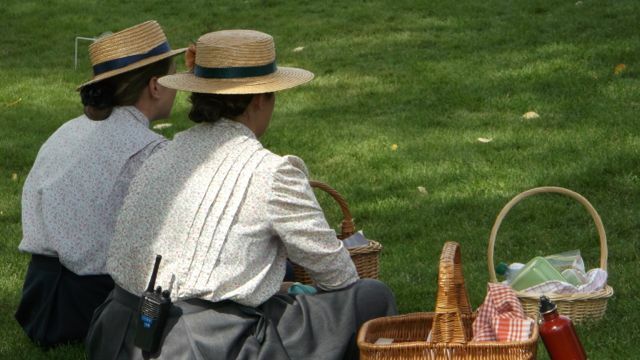 Strange, I didn’t know women carried walkie talkies back then! 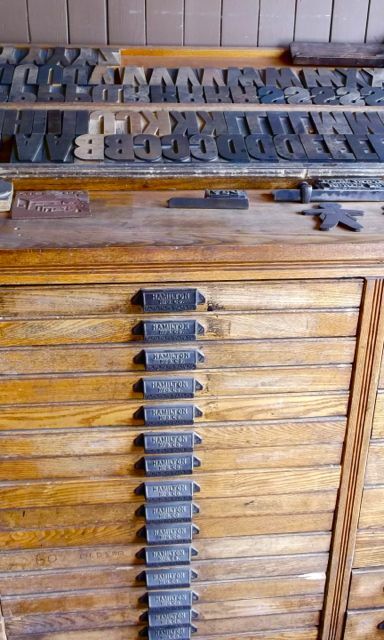 At the Heritage Park printing press. Horse drawn carriages. 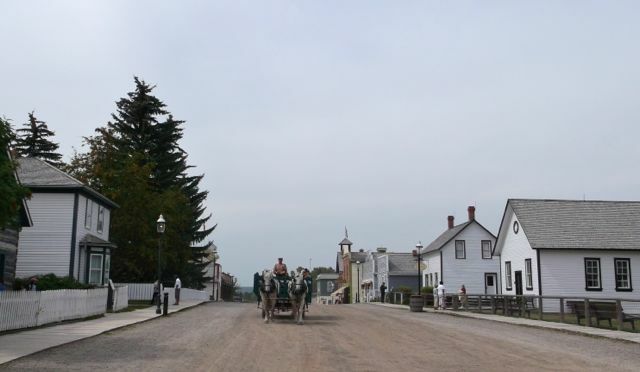 Heritage Park is mostly comprised of replica building/houses or actual historical Alberta buildings/houses that were relocated to the park. The interiors of the houses are also painstakingly decorated to period perfection! 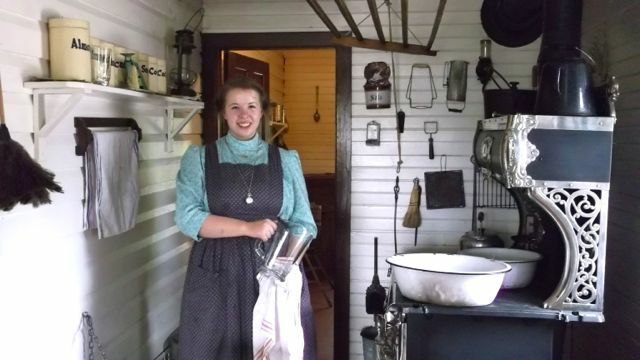 All of the staff at Heritage Park are dressed in period costumes + they LOVE to stay in character. As in, “Oh, hello! I’m so glad you just showed up! I just put a chocolate cake into the oven!”. And they love to greet you with familiarity, as if you were an old friend. It’s really pretty sweet. 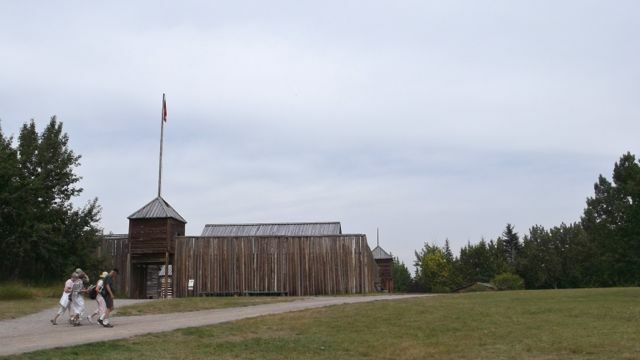 The Hudson’s Bay Company Trading Post. 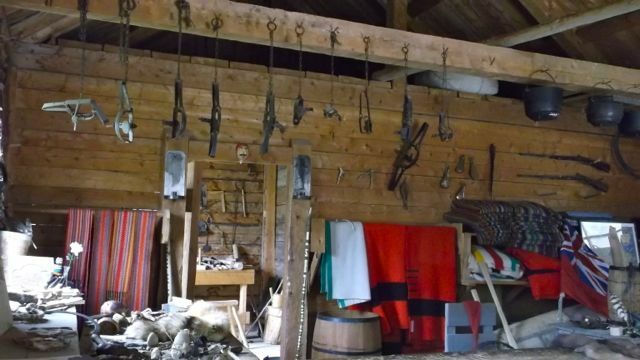 One of the oldest commercial corporations in North America, who’s main focus during it’s infancy was in fur trading. Drool!!! 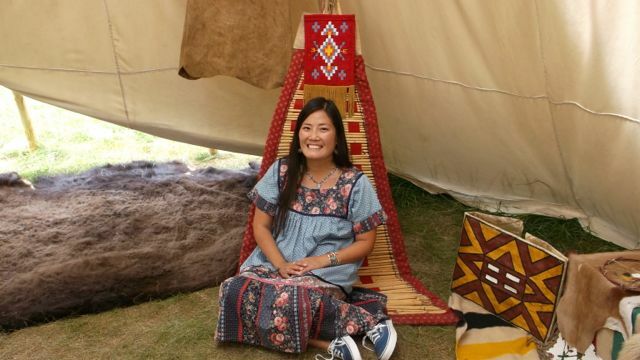 Blankets, native artifacts, cast iron tools, beading!!! 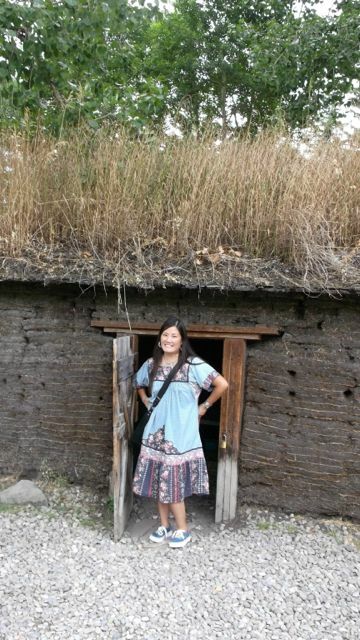 As to be expected, we wandered over to the teepees. I want this chair!!! Apparently, Jeff knows how to make them. Are you surprised? Me + the VERY in character Royal Canadian Mounted Police. I inquired after his pillbox hat, which I had never seen before. 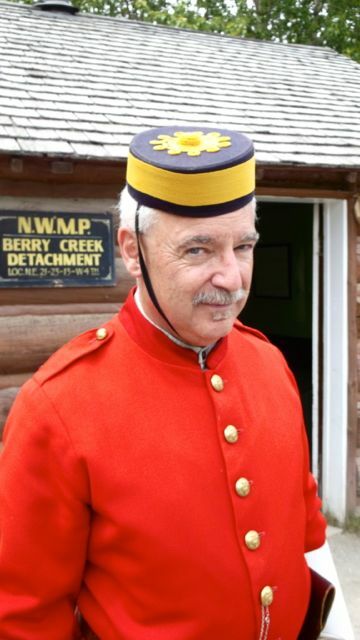 Apparently it is part of the original uniform of the RCMP. Obviously, it is very impractical to guard against the Canadian sun + wind. Thus, the RCMP hat evolved into the “stetson” wide brimmed hat around 1904, which is so widely recognized today. 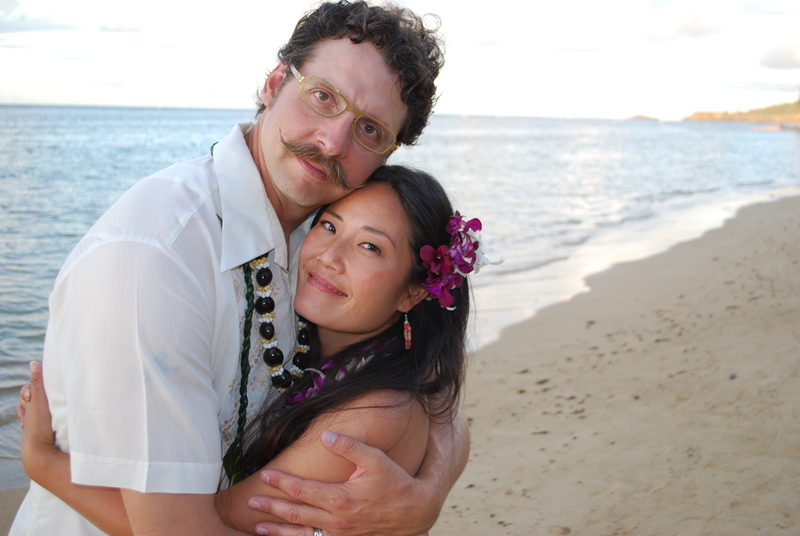 Michelle + I muttered a round of, “Hmmm, interesting….fascinating!!!!!”. 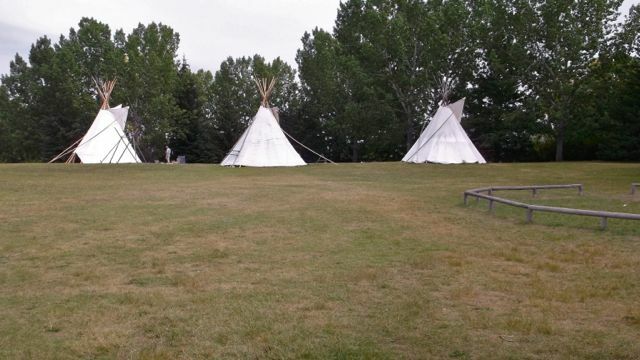 Well, that is my very brief summary of Heritage Park! People, this place is HUGE!!!!! We spent 6 hours wandering it’s vast expanse! Wear walking shoes, bring lots of water + get ready to read a lot of informational placards!!!!! Thanks for the treat, Michelle! 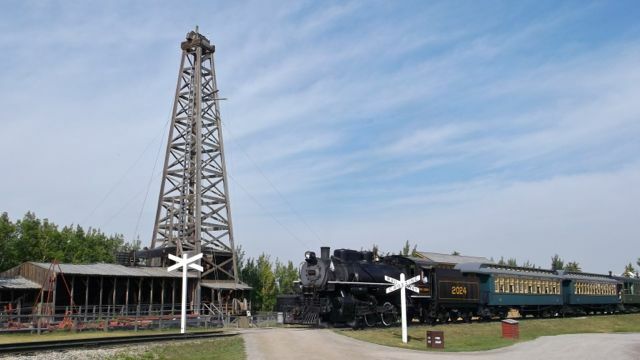 I’d go back to Heritage Park any day!!! YES!!!!! 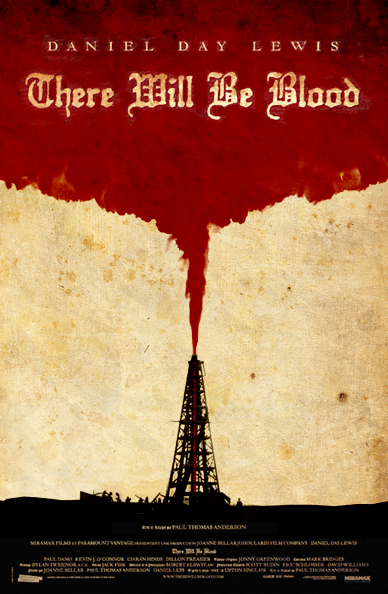 We shall start a commune!!!!! Miss you too!!! Alberta Fun with Baby | how's it going, eh?